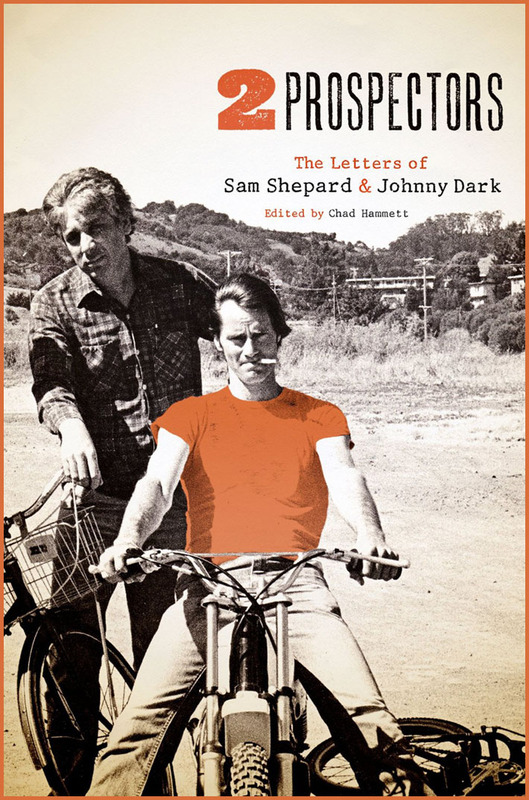 This book gathers nearly forty years of correspondence and transcribed conversations between Shepard and Dark. In these gripping, sometimes gut-wrenching letters, the men open themselves to each other with amazing honesty. Shepard’s letters give us the deepest look we may ever get into his personal philosophy and creative process, while in Dark’s letters we discover insights into Shepard’s character that only an intimate friend could provide. The writers also reflect on the books and authors that stimulate their thinking, their relationships with women, personal struggles, and accumulating years. Illustrated with Dark’s candid, revealing photographs of Shepard and their mutual family across many years, as well as facsimiles of numerous letters, Two Prospectors is a compelling portrait of a complex friendship that has anchored both lives for decades. Only three years separate Dark and Shepard, and in this engaging correspondence, we see the evolution of their relationship. They were buddies earlier, and they remained close despite Shepard’s rise to celebrity as a playwright and actor. Oddly, neither seems to have thought about going online (computers are not mentioned), so, except for the transcriptions of taped conversations, the volume has the feel of an earlier age. Editor Hammett notes that he has not assembled a complete collection but has edited heavily, arranging the pieces to tell a narrative, excising what he deemed repetitive or excessively quotidian, though some of the latter remains. The correspondence from both parties is rich with allusions to the writers they admire - principally Kerouac and Beckett, though many others appear as well, including Melville, Lardner, C.S. Lewis, Saroyan, Chekhov and Dickey. They write occasionally about money, the lack thereof, and about writing. The title comes from a play they began working on together but never finished. One transcript records an initial plotting session. Health issues occur continually. Dark’s wife declines as the book progresses, as do comments about life and writing. In 2008, Shepard wrote: "I continue to write because basically that’s all I’ve found I can really do." Shepard’s career ignited, he wrote more often about his travels, his film and stage projects... And Dark becomes more of a fan than a potential literary collaborator. By the end, they are discussing the very letters that became the book. A beautiful volume with color photographs by the University of Texas Press...The book circles around family life, the challenges of writing and aging, the search for inspiration, and the death of loved ones. This is a one-of-a-kind literary treasure that will probably not be seen in coming decades with the rise of email. Superbly edited by Hammett and beautifully put together by UT Press with lots of pictures and facsimiles of letters, this is my sleeper pick for one of the best books of the year. A correspondence of two men who took the Kerouac road and ended up lost in America. Subtle heartbreak, along with a good dose of wit and humor, run through their discussions of art, life, women, love, and their own friendship that seems to frighten them at times. It also reflects how that American ability to create ones own identity can lead to losing track of who you are. 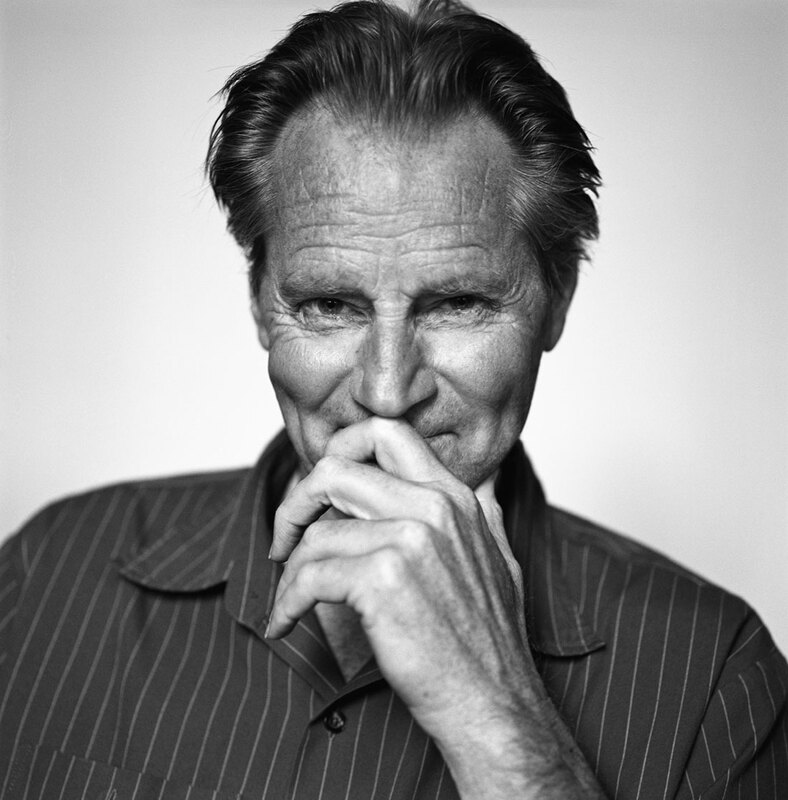 One of the closest looks we are going to get at Sam Shepard. Since Shepard has said he won't write a memoir, this spirited 40-plus year correspondence may well be the closest we will get to the playwright's perspective on his own life and work. Sam Shepard defined the 'voice of the West' for a generation of readers and theatergoers. As it turns out, his iconic voice was shaped and fueled by his lifelong friend, who has always shunned society. Now their collected letters expose the push and pull of their ideas, culture and an effort to articulate their personal truths to each other. A magnificent volume. In four decades of open, honest, correspondence, uninhibited by pretense or ego, two disparate but irrevocably intertwined men - one famous, one not - celebrate the core of male friendship.